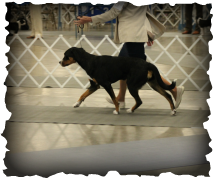 The Greater Swiss Mountain Dog is a vigilant family member, a robust worker, a livestock herder. They were the "poor man's work horse" in their native Switzerland. They are truly "gentle giants" with a heart for their family, but they are working dogs and need physical and mental activity. Swissy owners can participate in a multitude of activities with their dog to help burn up energy and keep them challenged. A nice daily walk, carting, agility, weight-pulling, rally and obedience, pack-hiking , barn hunting. 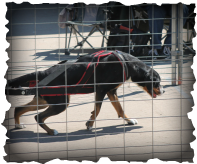 These are very smart dogs with a strong desire to be busy and spend time with their people. Early training and appropriate "socialization" are very important. Potential owners need to be committed to building a relationship with their furry family member! Miss Pyrrho ("Powder") moves like a dream! Dragon ("Sophie") has such good pulling form! 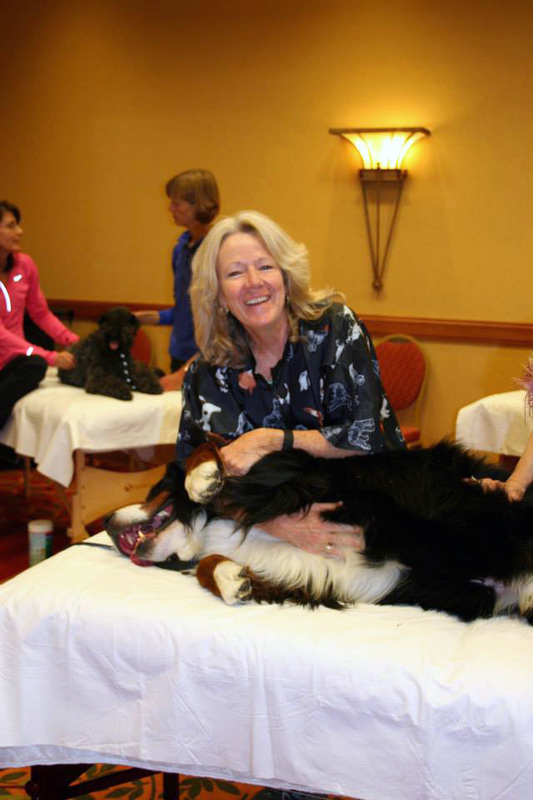 I am so excited to be able to add the benefits of canine massage to our developing breeding program. The possibilities for each and every dog encountered are truly remarkable. I completed the coursework and Hands-On Practicum required by the Lang Institute of Canine Massage and earned my certification in June, 2016. 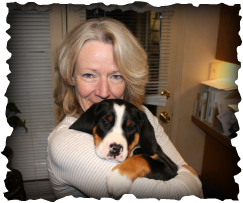 I am so excited to be able to offer my services to you and your dog! ​Contact me to set up an appointment!